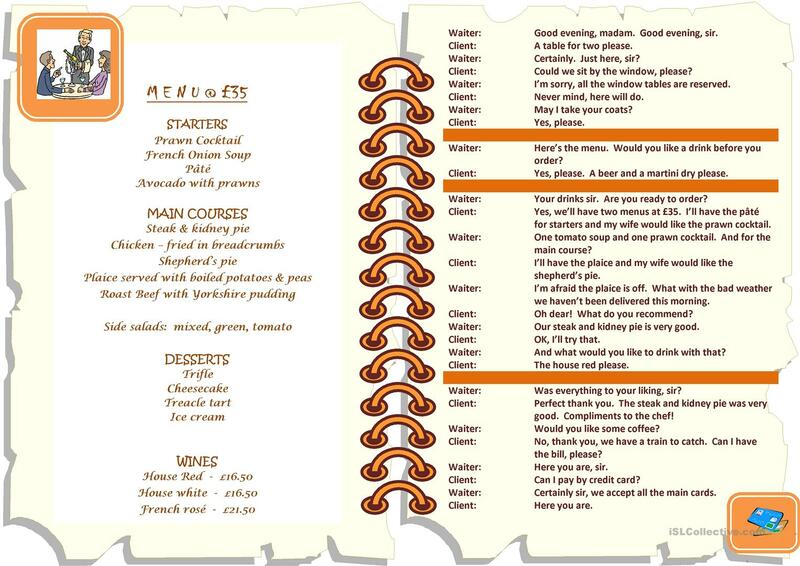 Put them into situations using this menu and dialogue at the restaurant. The above downloadable printable is a great resource for adults at Pre-intermediate (A2) level. It is a valuable material for honing your learners' Speaking skills.